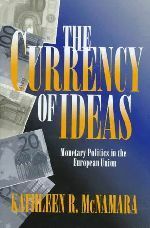 The Currency of Ideas follows the development of monetary integration within the European Monetary Union, leading to the creation of a single European currency. In examining the progress made since Bretton Woods, Kathleen McNamara identifies key events during this period that led to a concensus among European leaders to achieve monetary stability within the European Monetary System and the eventual creation of the Monetary Union. 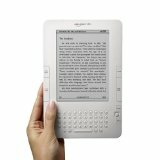 The book underlines rising capital mobility together with changes in political views towards a government role in monetary policy making, as the primary impetus for reaching concensus on monetary union. It also warns of a possible political backlash from unresolved social tensions. The findings presented in The Currency of Ideas extend beyond Europe to answer a broader question about the effects of international capital flows on states. While highlighting a number of constraints created by economic interdependence, Kathleen McNamara rejects the proposition that government policy is determined solely by international capital markets. She demonstrates that the process of monetary integration has been shaped over many decades by the shared beliefs of European policymakers, and the interpretations of their experiences in the global economy. 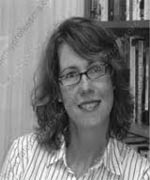 Dr. Kathleen McNamara examines the relationship between markets and politics as a professor of politics and international affairs with the Woodrow Wilson School at Princeton University. Her work traces out the ways in which ideas matter for economic policymaking, showing the interaction between markets and the social and political contexts they are embedded within. Empirical research supports her published work, investigating the politics of globalization and international finance, European integration, and questions of political authority, monetary policy and central banking.